member for Seize the Birthday…. I am so stoked! I still can’t believe it myself! Pinch me would ya! Birthday Theme! Isn’t that great??? The sky is the limit! Here is what I came up with for my first post! The card front is cut in half …. and I am not sure you can tell, so here is another angle. Love the way this came together. DCWV Sweet paper pack for my DP. Used my Spellbinders Picot die for my fancy circle. my lattice folder using my Cuttlebug. 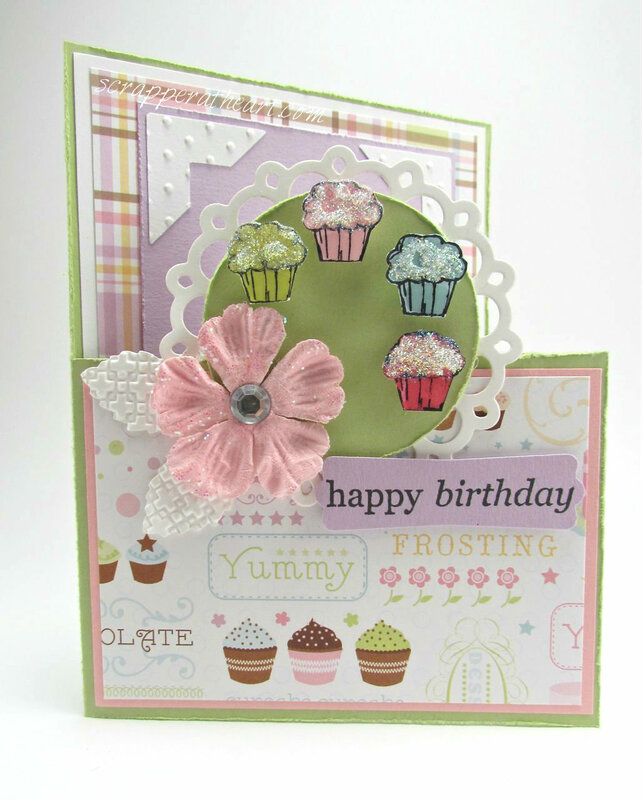 Stampin up corner punches and some Stickles for effect! new sister blog…….Seize the Sketch! for you to get you inspired!!! Nancy, your card is adorable. Love the yummy looking cupcakes. 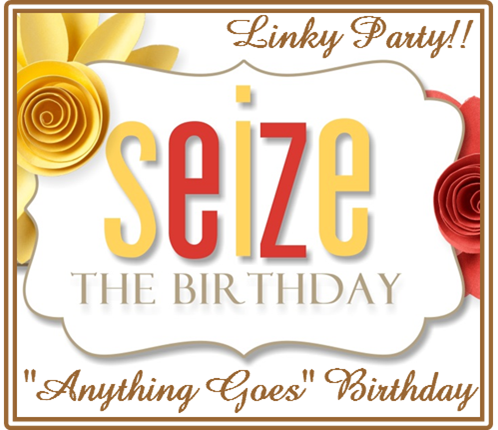 Nancy just joined the Design Team for Seize the Birthday! Here is her first challenge. Congrats to you and lovely card! 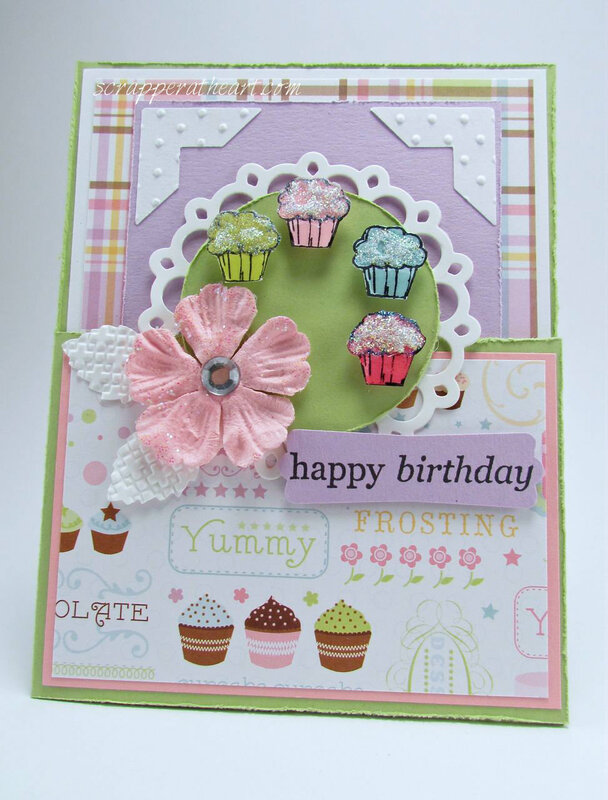 What a yummy card!! Makes me want a cupcake right now! Such pretty colours too! Looking forward to working with you on the STB Design Team. Super cute card, Nancy! 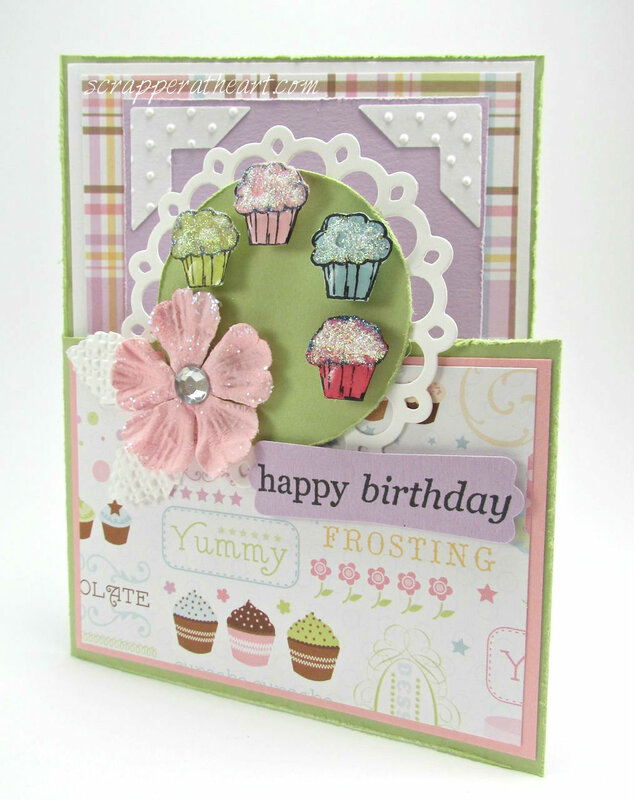 Love the yummy cupcakes and fun fold! Super excited to be on the STB team with you! I think I should be the one excited here….with your talent!!!!! Geez!! Have a great day!